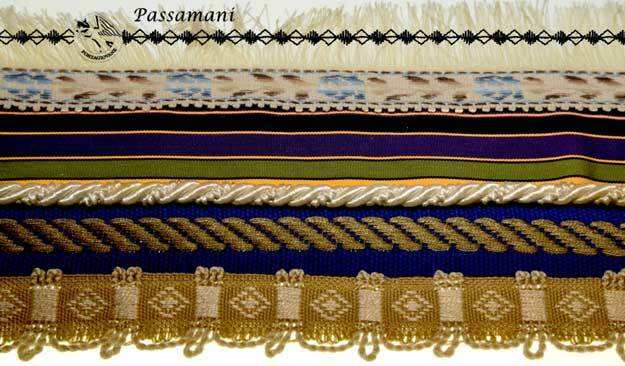 Passamani is an historical company placed in Novara, Italy. Passamani born around the end of the 1800 producing manufactures for soft furnishing and for the military world. Thanks to young Gianni Versace Passamani joint the fashion universe. Today the company, was absorbed by Forza Giovane in 2012, reborned by combining the tradition to the innovation of manufacture. Passamani has 40 engine-driven wood looms and more than 60 machines for varios manifacturing as jacquard, soutage and so on, that make it able to weave all different kind of yarn. The challenge undertaken by Mr Piergiovanni Vitalini is that to owen the Passamani company, Piero seeing on it the kernel of an artisan tradition that is a part of our history, and making it able to carry on its activity strictly connected with Forza Giovane of wich Piero is the owner.